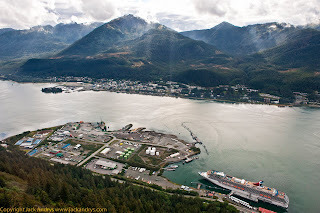 Continuing on from post 95 on our cruise of the Inside Passage, day 5 was all about coming ashore at the Port of Juneau. Juneau was named after a gold prospector Joe Juneau in 1881 and sits at sea level at the foot of mountains that are 3,500 to 4,00 ft or 1,100 to 1,200m high. 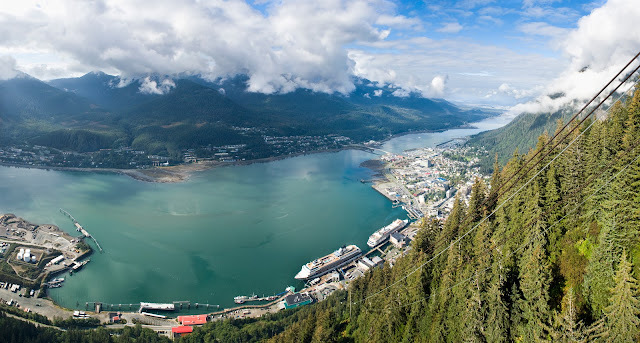 Cruise ships must be popular in Juneau, as one left shortly after ours arrived and another arrived soon after ours. The port is a very deep natural port and has a tidal range of around 6ft or 5m. At one point we were able to observe surface waves rolling in through the passage as the tide came in whilst at one of the observation spots on Mt Roberts. 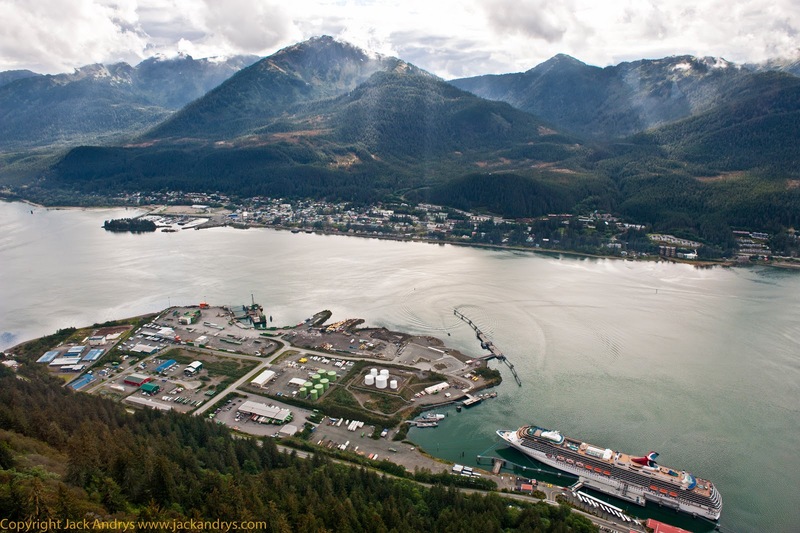 The port is also a busy seaplane operations base due to the nature of transport in Alaska, and the isolation of Juneau. 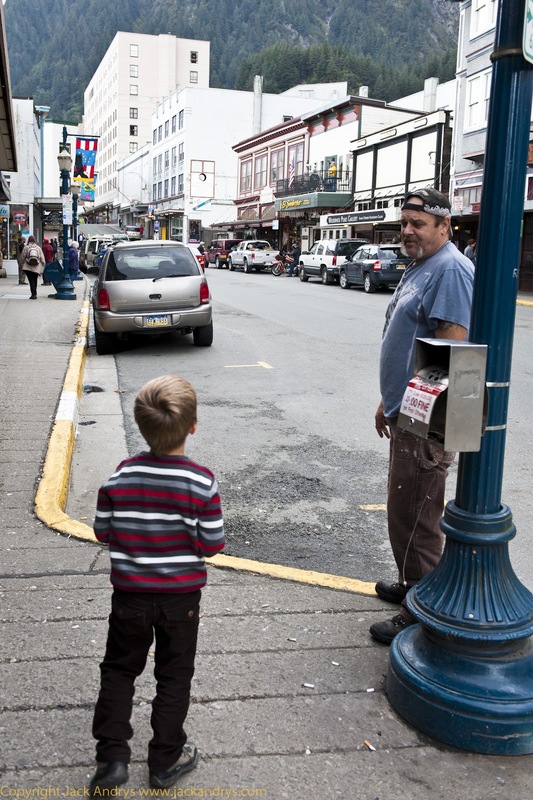 In 1906 Juneau became the state Capital after Sitka lost the title due to a decline in its commercial importance. We found the place very scenic and friendly although we were there on a dry day and not a normal day which is wet and cold. 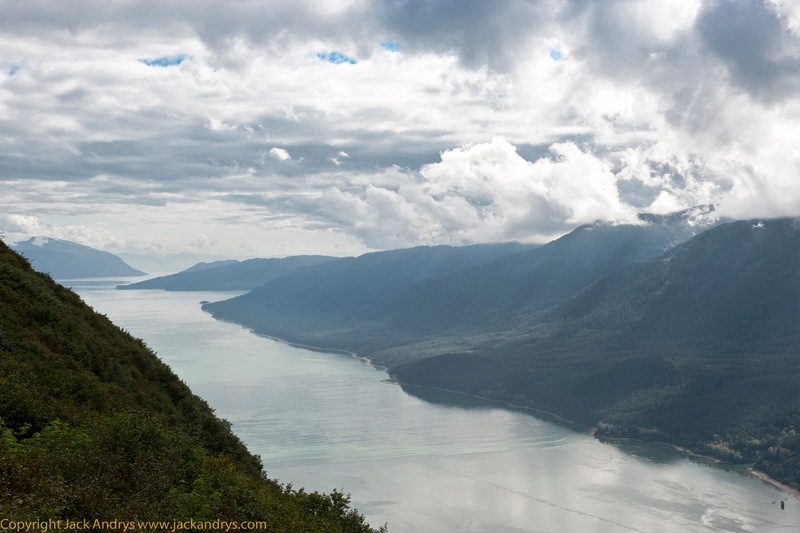 Whilst travelling up on the cable car to Mt Roberts the operator made a joke about the local weather stating that it normally rained 400 days per year. We left Juneau late that evening and felt that we would be happy to come back sometime for another look. Stay well and see you next time.